A senior central bank official has waded into the debate over whether the People’s Bank of China (PBOC) should buy bonds and stocks to inject money into the economy to help counter a slowdown in growth. 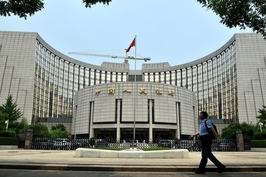 Sun Guofeng, director of the PBOC’s monetary policy department, knocked the idea on the head over the weekend, telling reporters that the central bank’s monetary toolkit has been effective and that quantitative easing (QE) is not on the table. “Whether we look at it from the perspective of the financial system or the effectiveness of monetary policy implementation, it is not necessary or possible for us to conduct QE at the moment,” Sun said, adding that the current laws prohibit the PBOC from buying government bonds in the primary market and from lending money to the government. Quantitative easing was a key part of monetary policy in the U.S. after the 2008 global financial crisis, when the U.S. Federal Reserve, the central bank, printed trillions of dollars to buy government debt and other types of bonds, which injected huge sums of money into the economy. The European Central Bank and the Bank of England have also conducted QE, which increases the money supply and keeps interest rates low to encourage lending and boost investment. But unlike the U.S. and Europe, where the secondary markets for government bonds are deep and liquid, the Chinese market is relatively illiquid, so the PBOC couldn’t buy up a significant amount of the debt and not enough to influence interest rates. How fiscal and monetary policy can be used to support the economy has been the subject of heated discussion this year, with some economists and market analysts calling on the central bank to buy financial assets — bonds and equities — directly from the market, similar to the actions taken by the U.S. Federal Reserve during the global financial crisis. Earlier this month, Guo Fangming, the deputy director of the Ministry of Finance’s (MOF) Treasury Department, told an economic forum that the ministry is studying ways of enhancing the role of treasury bonds as a principal tool for the central bank’s open market operations, expanding their use in the transmission of monetary policy. His comments have fueled speculation that the central bank may be planning to buy government debt. 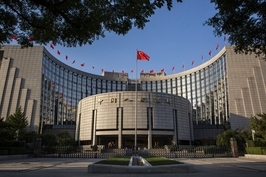 The MOF and the PBOC have been wrangling over economic policy for months, with the central bank saying that monetary policy alone can’t do all the heavy lifting to support slowing economic growth, as happened during the global financial crisis when the Chinese government’s 4 trillion yuan ($586 billion at the time) stimulus package was mostly funded by the banking sector. Central bank officials have been calling for a greater role for fiscal policy in pump-priming the economy, pointing to the low ratio of the fiscal budget deficit to gross domestic product. Sun indicated QE may not be suitable for China because of the way monetary policy is transmitted to the economy, which is closely linked to the way the financial system works. Financial systems fall broadly into two categories — those where banks play the dominant role and those where financial markets are dominant, Sun said. QE can be carried out by monetary authorities in the latter category because of the abundance of financial assets available for central banks to buy. 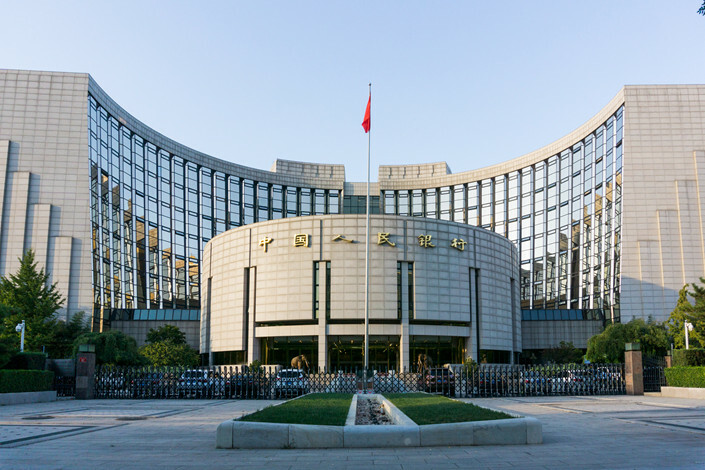 “However, because China’s financial system is dominated by banks, monetary policy transmission is mainly done through banks, and the focus is on adjusting the banks’ behavior,” he said. He also pointed to the different asset-liability structures of the PBOC and the U.S. Fed, which gives the Fed more leeway to buy financial assets. Although the PBOC may not be undertaking QE in the way other central banks have, it has still been carrying out measures to improve liquidity in the economy via the banking system. 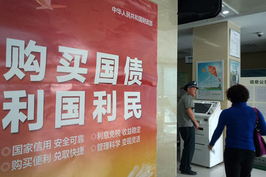 It announced a new monetary policy tool, the targeted medium-term lending facility, in December to encourage lending to small businesses and private companies, sectors the government says are not getting enough access to bank credit. This should become an important mechanism for the PBOC to influence banks’ lending behavior. In January, the PBOC lowered commercial lenders’ reserve requirement ratio through a two-phase cut in January, building on the four reductions implemented last year, releasing a net 800 billion yuan ($119 billion) into the financial system. And last week it announced the creation of a new tool, central bank bill swaps, to increase the liquidity of perpetual bonds, a new type of debt authorities have allowed commercial banks to issue to shore up their balance sheets. The swaps are aimed at making the bonds more attractive to investors to buy, which will encourage banks to increase issuance and provide them with more money to lend out. "There is a limit to the effectiveness of monetary policy, but we are far from reaching that limit and there is still a lot of room to maneuver,” Sun said. "The effectiveness of the various monetary policy tools we are using has started to show and we are confident that monetary policy won’t lead to a 'flood-type irrigation' and that it will better serve the real economy."